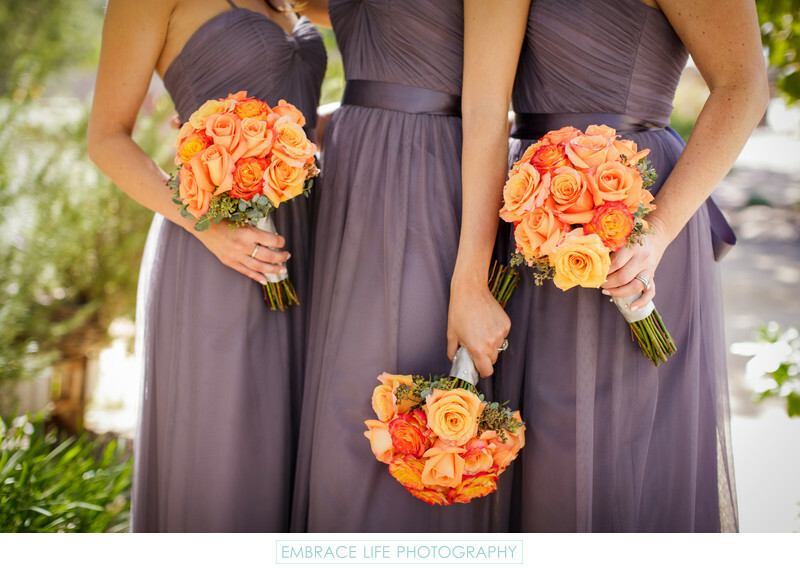 During a Camarillo wedding at Maravilla Gardens, three bridesmaids in purple dresses hold orange rose bouquets designed by Florals and Events. This Ventura County wedding venue is located in Santa Rosa Valley, a rural area surrounded by mountains and farmland. The property has beautiful outdoor ceremony, cocktail and reception sites and gorgeous garden landscaping. Location: 8620 Santa Rosa Road, Camarillo, CA 93012.